Did you know? Former Secretary of State Madeleine Albright '68SIPA '68, '76GSAS became known for wearing brooches that purposefully conveyed her views about the situation at hand. Read more. 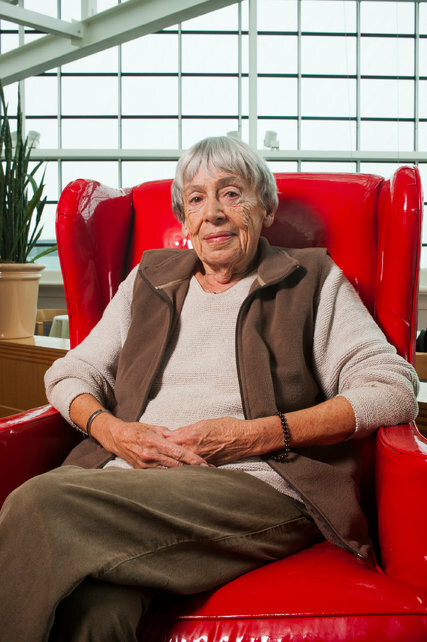 Ursula Le Guin '52GSAS recently earned a rare writing honor. Learn more from The New York Times. A team of Columbia engineers has found a way to 3-D print your breakfast. Columbia Football season tickets start at just $45. Don't miss out! Purchase here. A Columbia degree not only brings with it profound knowledge and experience, but also such qualities of dedication and perseverance that can make a one a good leader. Here are some thoughts from alumni about what being a leader embodies and advice for those who want to make a difference.